Just recently we wrote about camping essentials and gave you a few ideas on what to get. We have one more worth a mention – Therm-a-Rest UltraLite Cot and it will bring you a good night’s sleep. What’s special about it is that it’s the lightest one you can get on the market. Weighing just 2 lbs, you can bring it along on any fishing, backpacking or kayaking trip. It will keep you off the ground, which is great for avoiding uneven and uncomfortable surfaces, insects and cold ground. It also uses a durable construction and the lightest outdoor cot. 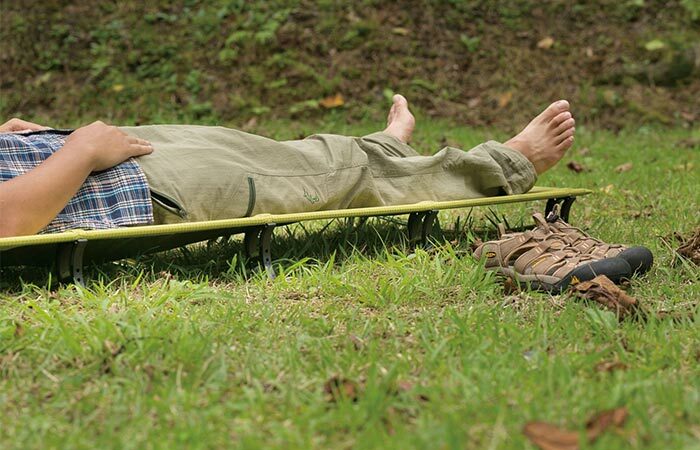 This super light cot will keep you off the ground when outdoors. The Therm-a-Rest UltraLite Cot features ThermaCapture technology that just like the name says, helps you retain the body heat. In order to set it up, you will need just a few minutes and no tools. When done using it, simply pack it in a compact bag that’s easy to carry and later store. Check out this video below and see how to set it up.